This past weekend we had squads racing across the country. I raced the SB&T Albany race weekend. This was the first race of the SRS series and there were good turnouts for the races, with around 75 riders in each field. The weekend began with the 75 min. downtown Albany crit. Our team consisted of Brendan Cornett, Winston David, Max Robb, and myself. 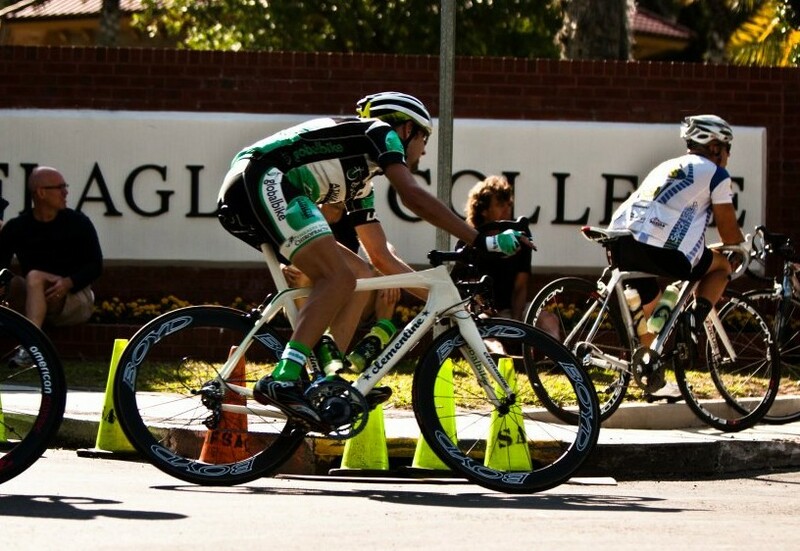 The race started off a little on the slower side, so I put in a solo move on the second lap. I was reeled in three laps later. Once the field was all back together, the attacks started. We had at least on rider represented in every move and about half way through the race, I got away in a group of six racers. This was to be the winning move, despite the gap dropping to within ten seconds at one point. Winston and Brendan worked to shut down the field to help us stay away. With three laps to go, I attacked the break, but was caught half a lap later, so I went again with two laps to go. This time I was able to hold of the chasing break and take the win ahead of Andy Crater (Finish Strong) and Oleg Tanovitchi (Iron Data). On Sunday, we had an early morning road race of 91 miles. Team Finish Strong went to the front and proceeded to control the race for the first two laps of the three. The we put in a few moves, but nothing was sticking, so we held off for the final lap. After the final KOM, the we started attacking and countering each move. Nothing stuck, however, so the we had to gear up for the field sprint. There was a big crash with 1 km to go, but the team all managed to avoid it and Brendan sprinted to a solid 6th place and Winston took 8th. All in all we raced great together and I got to pop bottles on the podium. 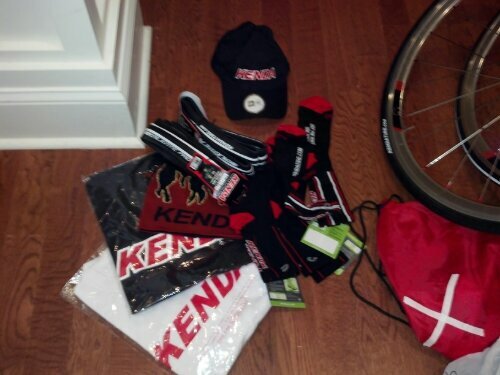 Along with the new team kits arriving, we also got a nice package from Kenda Tires too. The morning after the Sunny King crit we raced in the Foothills Road Race in Alabama. This was a 68 mile race along rolling roads with a few good climbs mixed in. I covered the early moves and eventually made it into a break of twelve riders that went on the first longer climb of the day. The break mostly consisted of four Team SmartStop p/b Mountain Khakis riders and five Team Predator riders, with myself and a few others rounding out the dozen. About half way through the race, our break was reeled in and then counter attacks started. We took turns attacking on the midway climb with my teammates Sully, Winston, Andy, and Dan being active players. Over the top of the climb, Winston went with a small group of riders and I bridged up to have two riders in the eight man move. We got the gap up to two minutes on the field, where it remained for the remainder of the race. With 8 miles go go, Winston and I took turns attacking the break, but the other riders were motivated to keep it together. With 5 miles remaining, we hit the final climb of the day where Sergio Hernandez (Team Predator) attacked at the base. Ryan Aitcheson (Astellas Oncology) and I bridged to him on the climb and the three of us rolled away. We rotated hard with the block tailwind and managed to stay away from the second half of the break. With 600 meters to go, my group of three was still together and I jumped, but was caught just before the line for 3rd, behind Sergio and Ryan. Winston took 7th and Andy Scarano finished 12th. We raced well as a team with everyone working together. Sadly, there was no podium for pictures. Got my new team bike today from the Hub Bicycles in Athens! We will be racing the Raleigh Militis 3 this season with full Ultegra 6700 drive trains I’m glad to be back on Shimano components, because they shift so well. We will also be racing on Industry Nine wheels and Kenda tires. Thomson completes the build with seatposts, stems, and their brand new carbon handlebars. For the 2012 season, the Athletix Cycling Team benefiting Globalbike will be riding fresh custom painted Clementine bikes and Boyd wheels. I’ve had my bike built up for a few weeks now and I love how it rides. 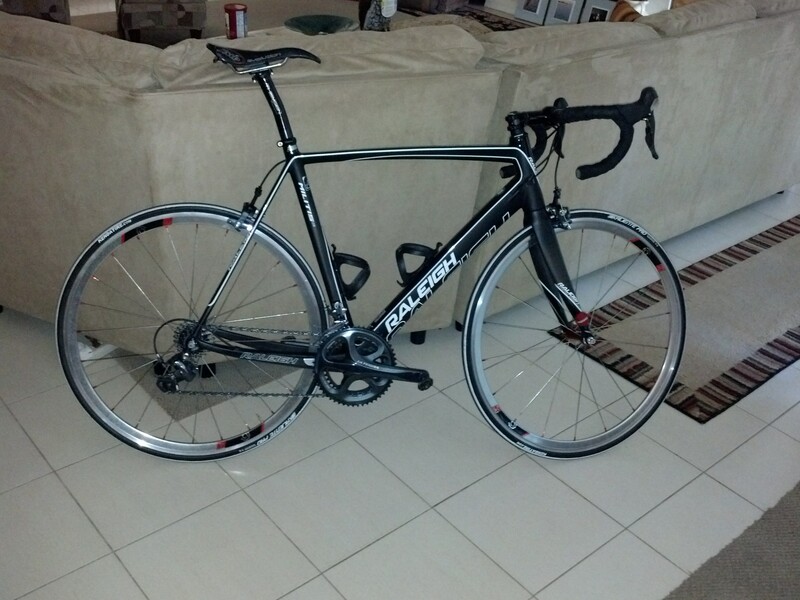 It rides smooth and is stiff and stable in the corners. I took my time building the bike up and took special care in measuring the length of the ISP. This was a process of measure 20 times and cut once. The result was the perfect saddle height. A little tip here is to use a metal hose clamp as a saw guide for cutting the seat post and steerer tubes straight. The tape helps to keep the cut clean and and keep the paint from being scuffed from the clamp. Spring break began as it traditionally has with the SB&T race weekend in Albany, Ga. We had a cool, rainy race weekend for the prologue and crit, and then a nice day for the road race. 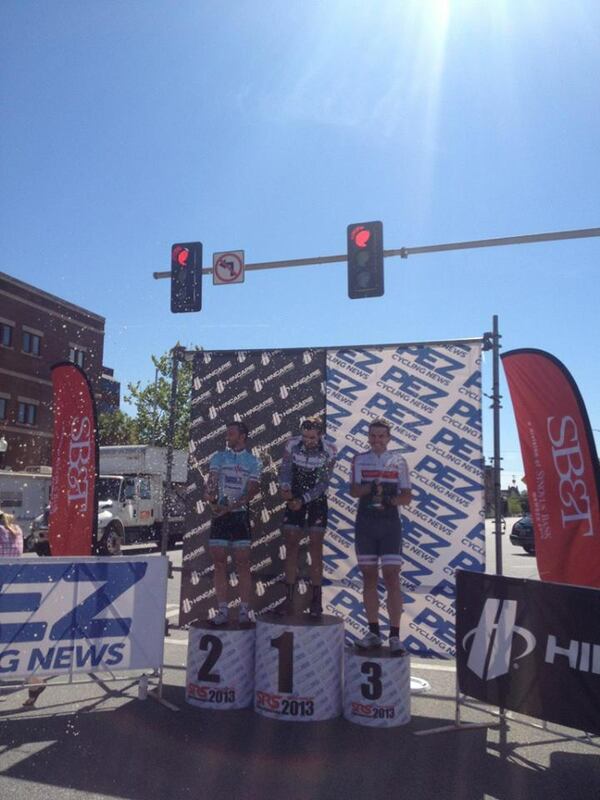 I christened my new Hincapie long sleeve skinsuit with a 4th in the twisty 2 mile prologue. Made the break in the rainy crit and ended up 7th. 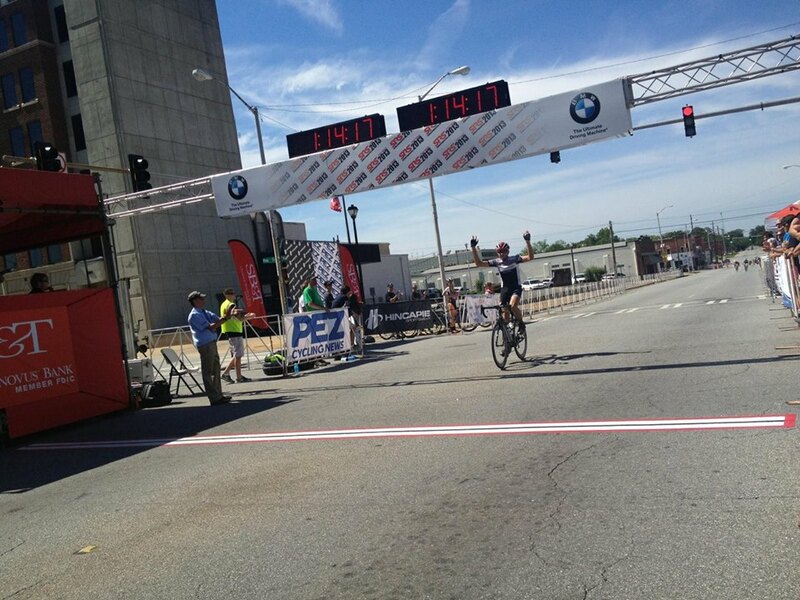 The road race started off well with me bridging up to the early break of favorites on the first lap. Unfortunately, our break was caught and when the attacks started up again, I stood up to sprint and felt my rear rim hit the ground. I ended up flatting out of the race after a long wheel change. 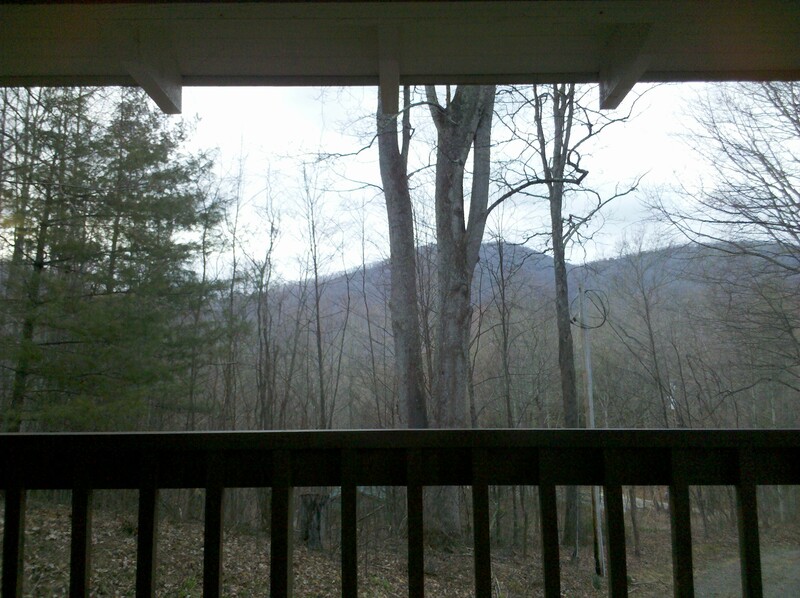 After leaving the course I drove up to my Family’s cabin in Highlands, NC to train in the mountains as per usual. What a difference a change in latitude and altitude makes. I went from the warm sunny South to the cool mountains in a few hours on the road. 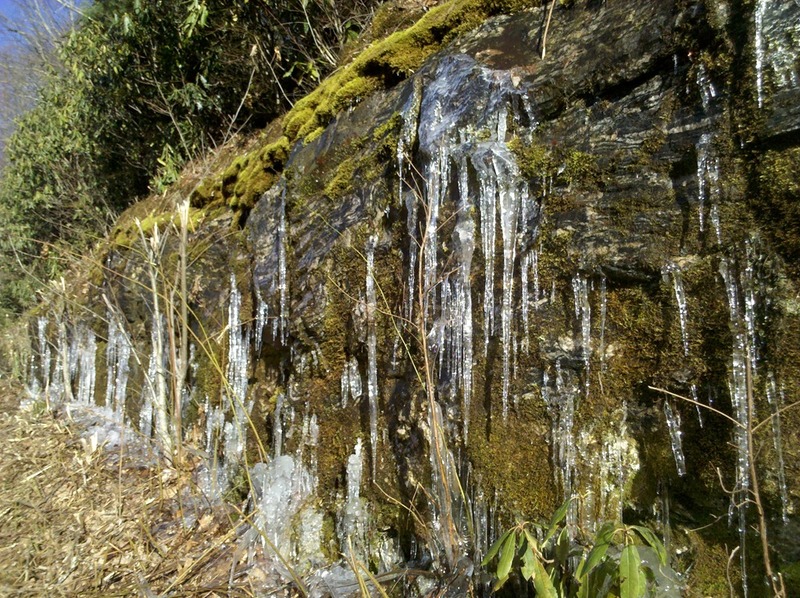 It was odd to see icicles this late in the season, but it’s still a cool sight to see on a ride. I got in two good days of riding in the Smokey Mountains before I headed over to Asheville to help Bobby and Lindsay move into their new apartment. 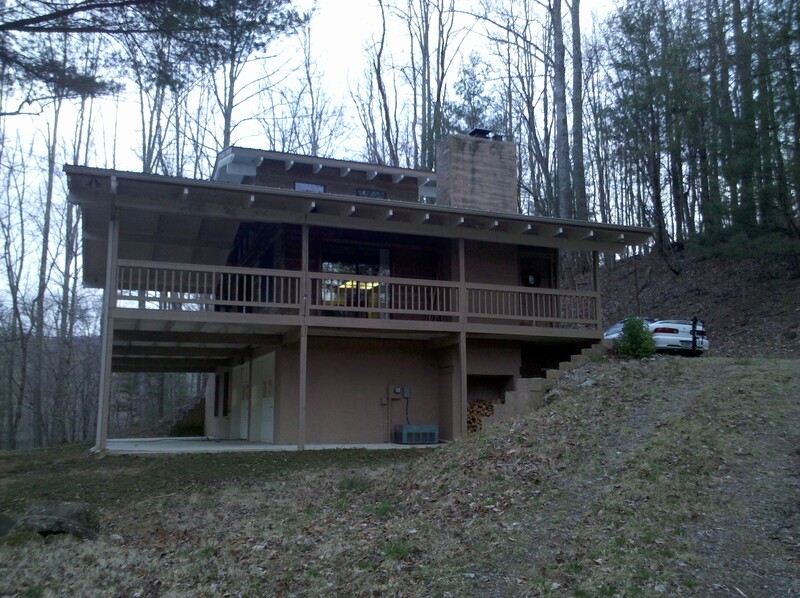 Bobby and I had some good hard rides in the mountains near Asheville, and we also got a good workout from unloading the biggest U-Haul truck available. Fortunately, my team manager Josh came over to help us unload the truck. His help made the unload a lot quicker and easier than in would have been. After a fun week away from school, I’m now back in Gainesville preparing for class on Monday. One of our Team Florida members, Bao Lam, made a cool video of the UF Swamp Classic race weekend. The on-the-bike shots of the downtown crit were taken from under the saddle of my bike. This footage starts at 1:45.